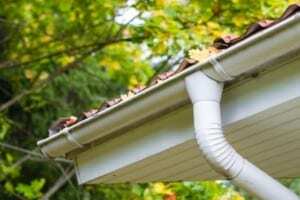 Practical Solutions for Gutter Protection: Are Leaf Gutter Screens Worth the Money? While cheaper gutter guards might be more practical from an investment standpoint if you live in an area where debris isn’t likely to clutter your gutter system, the presence of trees, birds and various pests can complicate things significantly. Under those circumstances you might want to invest in a more intelligently designed gutter screen system that features improved leaf protection. Leaf gutter screens are designed to eliminate any gaps or holes that would allow smaller leaves to make their way into your gutters and possibly clog them or increase the chance of attracting pests. These gutter screens are fitted with micromesh construction, making it much harder for anything aside from water to get through to your gutters. The practical advantages are clear: you can avoid having to take apart your gutters and gutter screens for thorough cleaning, and the whole system will last much longer. Moreover, the occasional cleaning job required is minimal, and you don’t have to worry about the mesh getting clogged up too soon. The downside is that leaf gutter guards are sometimes considerably more expensive than a standard gutter screen installation. Because of the product’s superior value and durability, this is understandable. Also, according to many experts, this type of gutter screen installation will not only help you avoid having to repair or replace your gutter system for many years to come, but it might also make it easier to avoid repairs costing a total of more than $30,000 in the long run. Contact Interstate Roofing, a trustworthy Denver roofer, to find out if leaf gutter screens are a necessary and affordable option for your home or rental property.